At 12 p.m., March 3, the CBC theater group left to perform at the Christian University Theater Festival in Brownwood, TX. This competition was a first for CBC as well as the first time CBC has performed an original musical. The musical entitled “Uggs” was written by Jana Jones, musical director, and the composed by Jim Turner, assistant music professor. The story follows closely with the tale of the “Ugly Duckling,” a popular children’s story by Hans Christian Andersen. CBC was the third school to perform. Compared to the overwhelming sadness created by the previous plays that tackled deep and controversial topics, the lightness of Uggs was well received. The critic listed many great things the CBC theater group did as a whole, but also gave some suggestions to improve on. Each time the group had to strike a set (remove and load in another schools’ set), students had plenty of time to mingle and meet new people with similar interests. Every student had the chance to learn and experience new ideas each school presented. Although this wasn’t a competition, honorary awards were given to students. 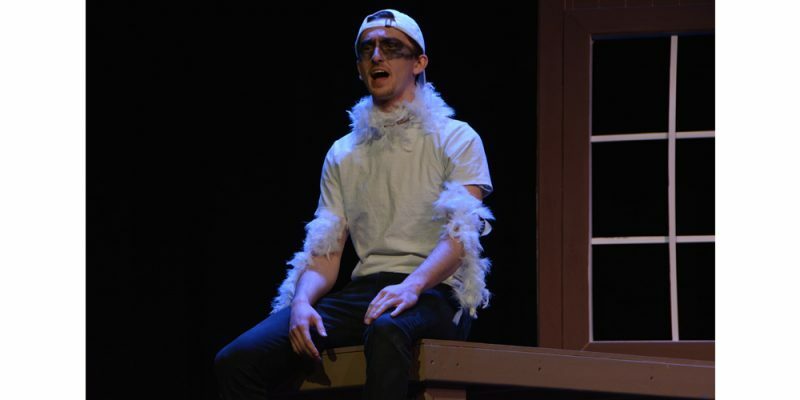 Junior Dylan Bradley, sophomore Jarrett Maxwell, and senior Maxwell Sullivan received the Outstanding Actor Award while recent graduate Laura Embry received the Outstanding Achievement in Makeup Design. A special award was given to junior Josh Burns and junior Allison Bisher called the Super Trooper Award given to those who go above and beyond to help others and had a positive attitude towards everyone.